Bronze cotton net shirt adorned with stunning embellishments around the neckline in multiple borders. Sequins and motifs scattered in the middle. Embellished bell sleeves with slit. 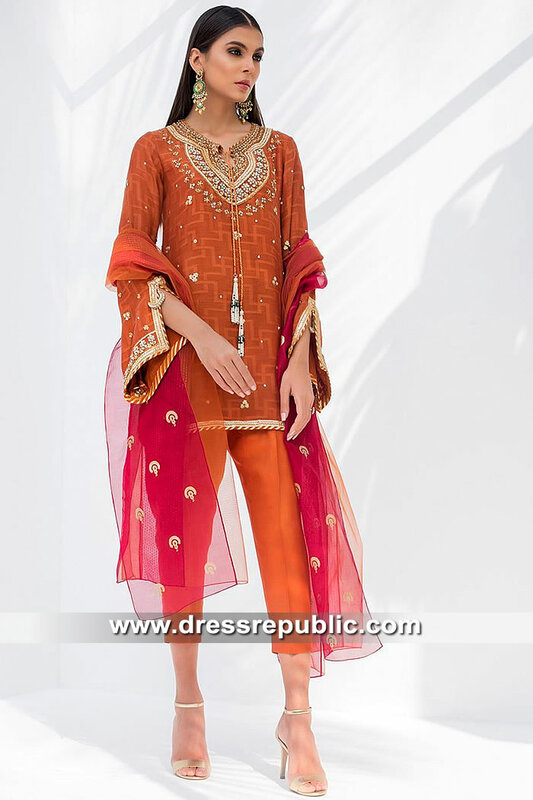 Burnt orange raw silk cropped pants. Cantaloupe tulle net dupatta shawl has pendant motifs scattered in the middle.